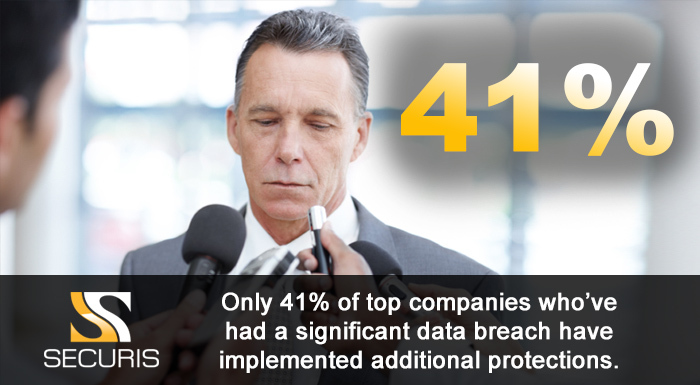 Accidental Data Loss Is Often Preventable, So Why Are You Still Risking It? Not a week seems to go by without us hearing about yet another highly reputable institution losing control of their data or their customers’ information because they lack accountability measures and procedures. When a company, large or small, has such little knowledge of the overall status of its IT assets on the network, and those that leave the network, its entire operation is put in jeopardy. And, they often don’t learn. You’ve heard the adage “it’s not a question of if, it’s a question of when” before, and we believe that every IT manager, CTO, CIO, and executive start applying that mantra to the risk that someone will try to breach their data. From malicious efforts to steal company secrets, contractor errors that expose your customer information, to disgruntled employees aiming to hurt your business, the risk is out there. But, a potentially costlier risk is the one we don’t think about or address enough: accidental loss. And the one people like to overlook the most: tossing computing equipment into the trash. The dumpster is one of the biggest risk areas for accidental data loss, often because we just plain forget that data is living on those old machines. The copy machine is one of the main culprits here. If you’re not securing your equipment, wiping hard drives, degaussing, shredding, or otherwise removing your information, you’re at risk. The danger covers everything from thumb drives and company CDs to servers, smartphones, and Bluetooth devices that can store network access information. Protecting yourself requires a consistent plan and constant vigilance, but it is often difficult for companies to start that on their own and properly guard the areas where accidents live. The good news is that our experts are here to help you think about the previously unthinkable and create plans that remove accidents from your data protection equation. Stephen Cox, President of Securis Greensboro & RDU, provides a compelling look at data loss and what companies just like yours can do to protect themselves. He looks into the millions of dollars that companies lost when they are the victims of a data breach or when they fail to meet industry and regulatory standards for data protection. Learn if you’re at risk and how to protect yourself by thinking beyond just laptops and PCs with his article here. We think you’ll enjoy the protection that’s available in the self-awareness he helps customers and companies cultivate.